Fibromyalgia is often misunderstood leaving those who suffer with the disease to suffer in silence. Because it often appears that those with fibromyalgia “Look Fine”, that it is all in their head or they are making it up. This is horrible for fibromyalgia patients, most who led active, full lives prior to developing fibromyalgia. I was about to mention that we lead active lives until we are diagnosed but that is not even close to true. Most fibromyalgia patients suffer in pain for years before someone actually diagnoses the condition. I actually saw a specialist who said he did not believe that anyone gets fibromyalgia and that it is not a real disease. He tells me we are going to figure out what is really going on. Of course, when everything else was ruled out, he said I had “proable fibromyalgia”. It is not surprising to hear horror stories of men and women suffering needlessly because doctors don’t realize what is going on. Thankfully there is more understanding about fibromyalgia and how it affects us in the last ten years. I have been suffering with fibromyalgia for over 15 years. It has been a struggle but I am thankful I have learned coping mechanisms that help as well as the benefits of changing my diet. Originally I was resistant to change my diet and believed that eating differently would make no difference, but in the middle of a severe fibro flare, out of desperation I worked on changing my diet. 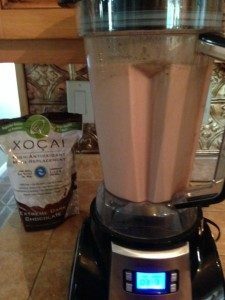 One of the easiest ways I have found to improve my symptoms, was to incorporate a Well-Beyond Healthy Chocolate high antioxidant cocoa flavanol protein shake for breakfast each morning. I know! I swore I would never do those nasty protein shakes ever, but again in desperation I tried it with great success. I have been taking this Well-Beyond Healthy Chocolate Shake daily for over 4 years now and never go without. If I skip it, I can hardly get out of bed in the morning. The difference for me is life altering. It is well beyond what I could have ever imagined when I first started taking the products. It is 21 grams of protein, (whey protein isolate) and over 56,000 ORACfn (amount of antioxidants found in fruits and veggies), also chock full of cocoa flavanols. The key here and it is a big deal, is that all chocolate is not the same. Not even close! Forget the candy bars, most don’t even have real chocolate in them anymore. Even high end chocolates like Godiva and other 70% or higher chocolate bars found in health food stores don’t have the antioxidant content and flavanoid content you can find in unheated cold pressed Beyond chocolate. So be specific, this is your health we are talking about. and the Xobiotic. They taste fantastic and also are off the charts in the amount of antioxidants and cocoa flavanols. I recently read an article called Five-common no nos for people with fibromyalgia that made it clear that the benefits I have experienced with healthy chocolate were not an anomaly. In fact, Dr. Jacob Teitelbaum specifically mentions “Dark chocolate can actually improve fibromyalgia & chronic fatigue symptoms.” As surprising as that sounds it also makes perfect sense once you realize they are not talking about candy bars that likely don’t have any real pure chocolate in them anyway. 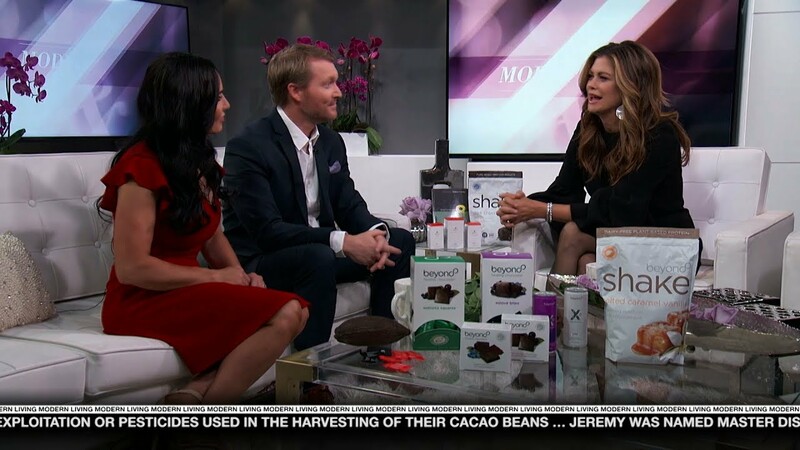 They are talking about a medicinal chocolate like Beyond Healthy Chocolate Co. Chocolates. I am sharing my story, what happened to me when I started using high antioxidant and cocoa flavanol rich products. Try some healthy chocolate today. 3-5 Xobiotic or Power Squares spaced out throughout the day. Eat a minimum of 1 morning, mid-day and evening. Let it melt in your mouth . Write down your symptoms before starting Beyond and keep track of things that improve! Contact Lynette Henk of Three Sons Marketing LLC at 941-216-5727 or visit HealthyChocolateFix.com if you have any questions or want to know how I control my fibromyalgia symptoms and got my life back! Disclaimer: These Beyond Healthy Chocolate Products are part of a comprehensive approach to a healthy lifestyle. Beyond is a super-food. Beyond products do not claim to treat, cure or prevent any medical condition. PreviousFire Up Your Brain With Beyond Remity Core Regimen; Powerful Nootropic—A Supplement That Supports Cognitive Function & Focus & Better Sleep! 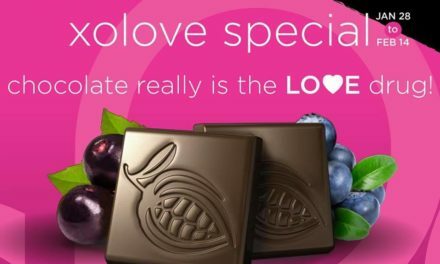 NextHave You Tried Healthy Chocolate Beyond Love Bites For Passion And A Zest For Life? Oh MY!